CHILDREN AND NURSERY MINISTRY IS PROVIDED. 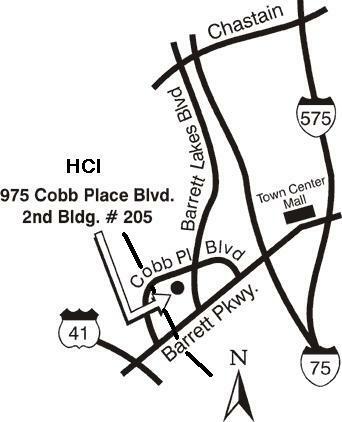 Our physical address is 975 Cobb Place Blvd, Suite 205, in Kennesaw. Georgia 30144. We share the facility with World Outreach Ministries. Take the Barrett Parkway — Town Center Mall Exit. Turn West and head toward Hwy 41 (Cobb Parkway). Look for Cobb Place Blvd. at the intersection just past I-75 and turn right between the Exxon Gas Station and Chili’s Restaurant. Go pass Target on the left and Sports Authority and Best Buy on the right. Go through two traffic signals. Once past the second traffic signal (Barrett Lakes Blvd) go about 4/10 of a mile and look for the Cobb Place Office Condominiums on the left. Turn left into Cobb Place Office Condominiums and go to second building, Suite 205. Turn onto Barrett Parkway and head East, toward Town Center Mall. Turn left at the first traffic signal (Cobb Place Blvd) located at corner of Carmax on the right. Go past the first traffic signal (Roberts Blvd) and look for Cobb Place Office Condominiums on right about 1/3 of a mile. Turn right into Cobb Place Office Condominiums and go to second building, Suite 205. DIRECTIONAL SIGNS ARE POSTED AT BOTH ENTRANCES TO THE CONDOMINIUM COMPLEX ON SUNDAYS.